Whatever your taste in carved stone, Muvezi has you covered. In addition to traditional African styles such as protected families, animals, and busts, our Shona artists have also produced outstanding abstract and modern sculptures. Sculptures range in size from table-top pieces all the way up to our large master series. 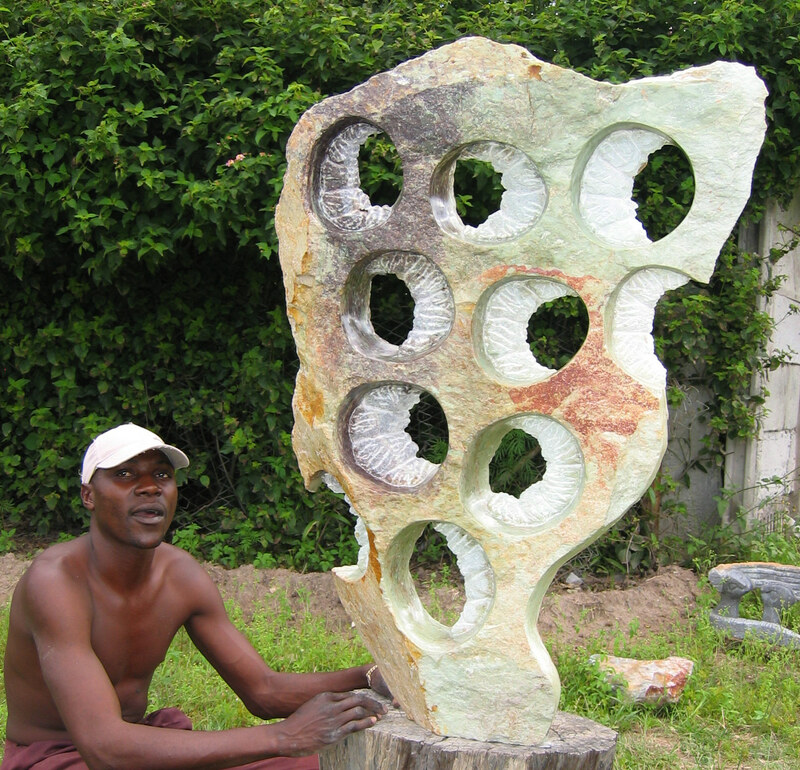 In addition, sculptures are made using a wide variety of stones, including leopard stone, fruit serpentine, verdite, opal, and more. Outdoor garden statues, large abstract sculptures, small indoor features… Elephants, birds, dancers, lovers, angel sculptures… Take your pick, whether you’re seeking a charity gift, lobby showpiece, or home decoration.